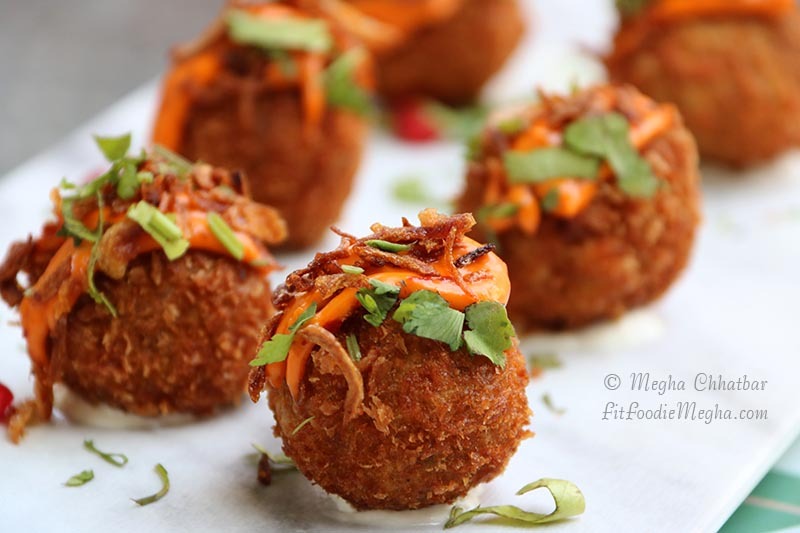 Fit Foodie Megha: Top droolicious Instagram-worthy dishes! Tropicana Pink Smoothie Bowl at Yellow Flower Cafe, Ubud is a must try for its deliciousness and presentation. Super Yumm! Magnum Madness at Meraaki Kitchen. The plating itself was so artistic. I was in two minds whether to eat or praise that beauty. 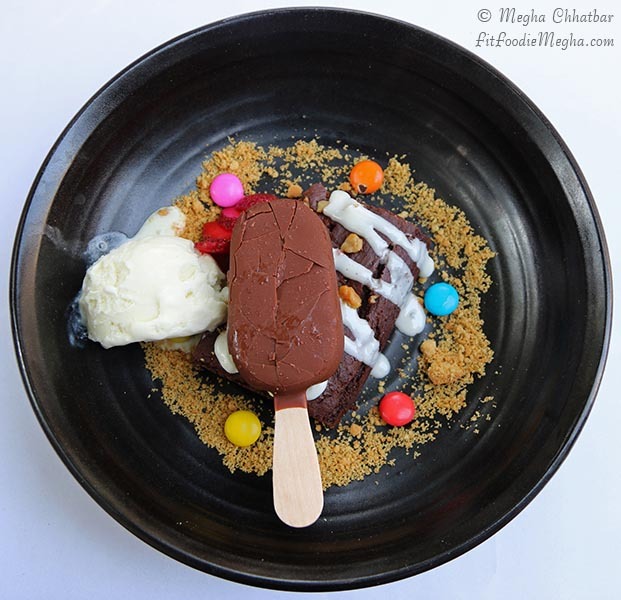 Gooey Brownie with magnum ice-cream, gems, crumble were not only balancing the taste but also enhancing the crunch and adding colors to the plate. The Green Smoothie Bowl at Zest, Ubud was my all time favourite from the menu. 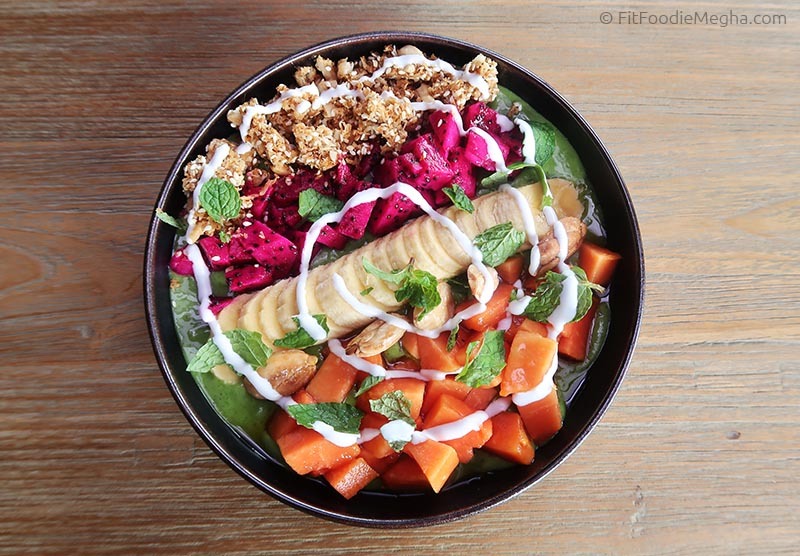 The visually appealing bowl had the power punch of bananas, moringa, katuk leaves smoothie topped with the colorful dragon fruit, papaya, granola, shaved coconut, Java almonds and mint leaves. It was not only scrumptious but healthy too. Biryani Arancini from Meraaki Kitchen: Cheese stuffed biryani balls were to die for. The crunch of coating, the flavours of biryani inside and the achari mayo made it irresistible. Balanced flavours and the presentation was excellent. Highly Recommended! 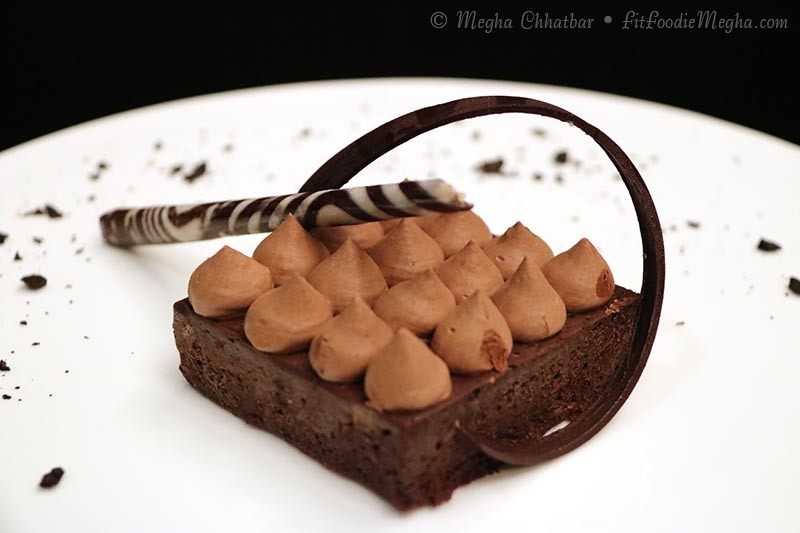 Chocolate Silk Cake by The House of Medici, Westin: It was soo silky, smoothy and chocolatey and so beautifully presented that I could not resist eating it. It was wiped in a couple of minutes! Idli Waffles with Mushroom Pondi Curry sounded interesting but failed to impress. They had steamed well however nothing much of a difference in taste. The idli was served in waffle shape instead of regular round one, that's it. 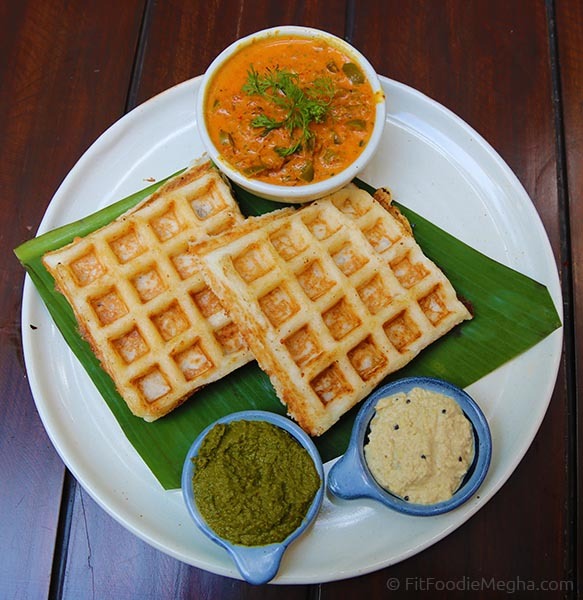 Taste-wise, the waffles were soft and paired well with the pondi curry. 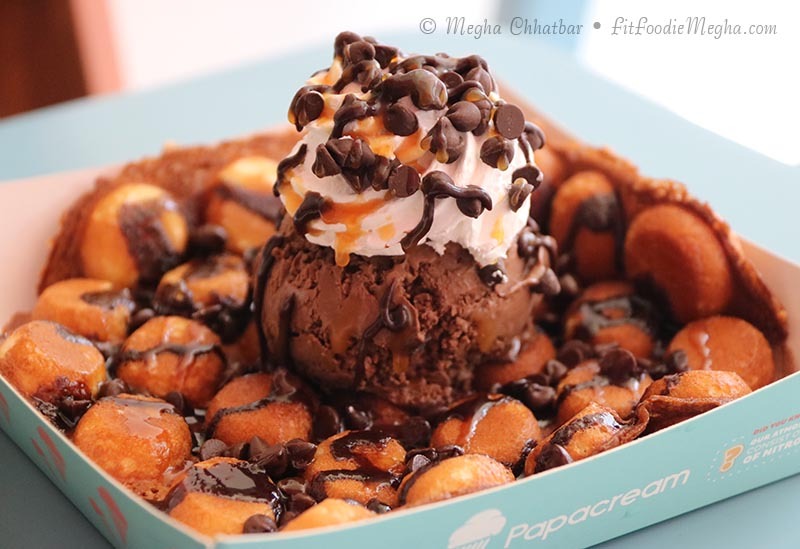 Belgian Chocolate Waffle Sundae at Papa Cream: Yummy, crunchy chocolate bubble waffle topped with the luscious Belgian chocolate, hot fudge, caramel and whipped cream. This pairing can never go wrong. Ooh, that waffle and ice-cream! So Highly recommended! 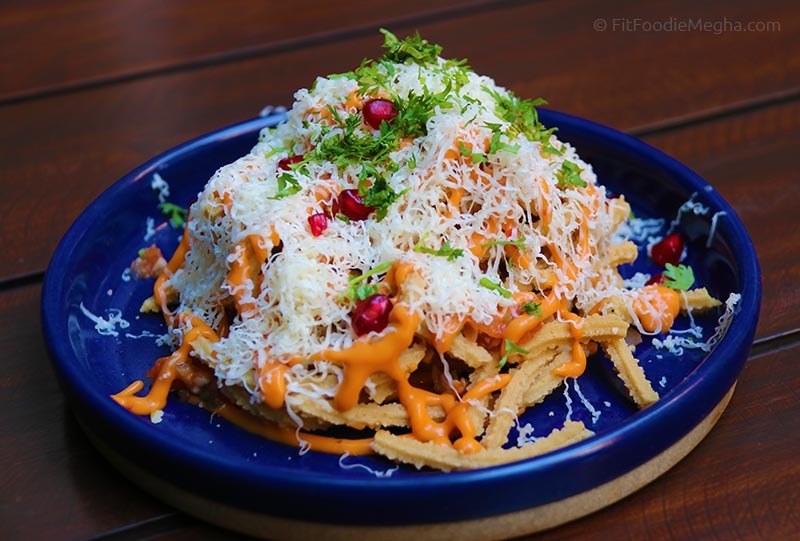 Murukku Nachos at Cafe Pondi was another innovative dish at the cafe. The addictive munchy was crispy and combined with salsa and cheese. 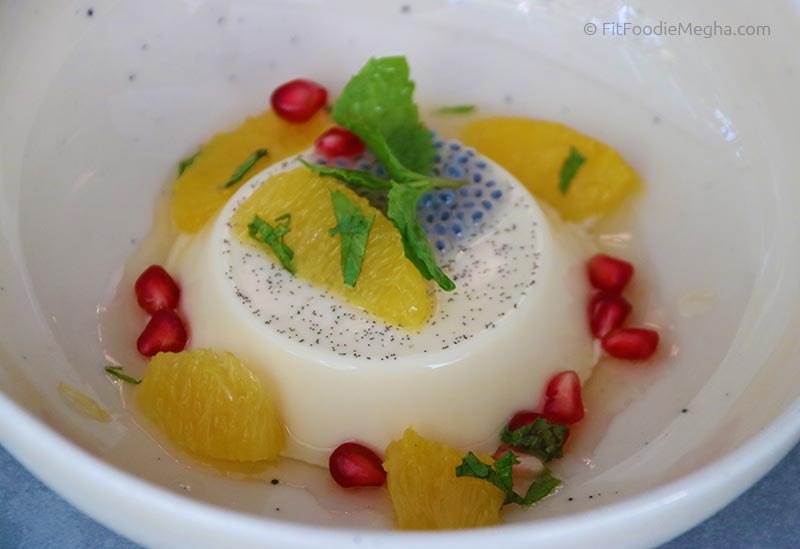 Orange and Pomegranate Panna Cotta at The Daily All Day.Wobbly, tasty and full of colors. Orange one was my personal favourite. Blueberry Milkshake at Papa Cream: Thick, creamy shake topped with whipped cream and crushed oreos. Perfect sweetness and texture. Loved it. Highly recommended! 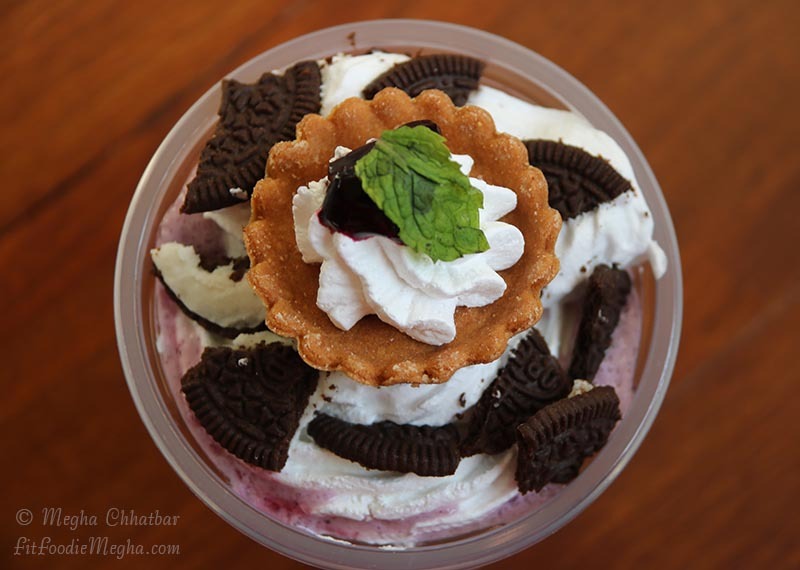 Read more what they have to offer at Papa Cream, Pune. 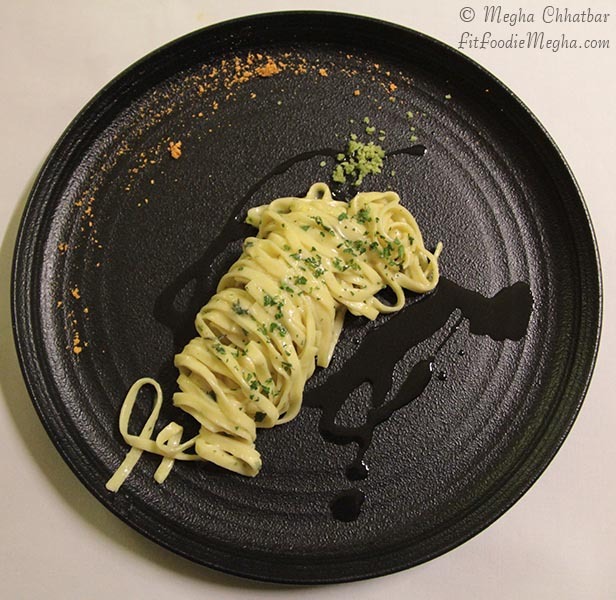 Taglioni Al Limone at Sorriso: This handmade ribbon-shaped pasta was simple yet flavourful. As I mentioned, basic ingredients like lemon butter sauce and parsley make it more elegant and sophisticated. Highly Recommended. 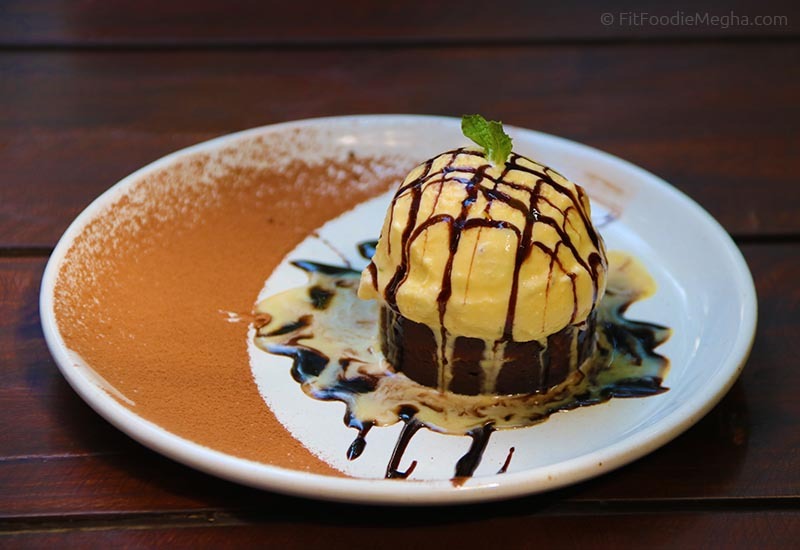 A must must try and highly recommended dessert at Cafe Pondi is the Filter Coffee Brownie with Saffron Ice-cream. The chocolatey, gooey brownie with the infusion of coffee was heavenly and to balance the taste was the scoop of rich saffron ice-cream. Each bite was divine. Ying Yang Martini (non-alcoholic) at Oozo Bar and Diner: It was not only eye-pleasing but also lip-smacking. A must-have for the chocolate lovers. Yeah! 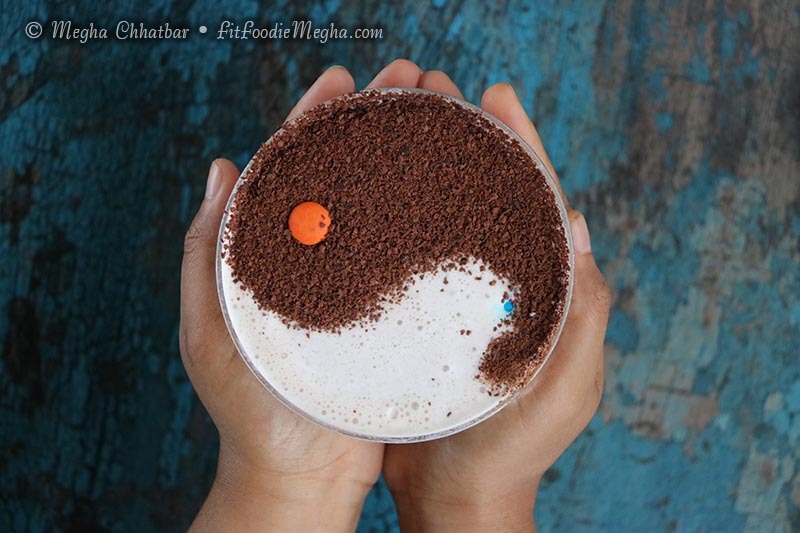 It had a fine balance of chocolate, whipped cream, coconut milk, vanilla ice-cream, m.n.ms and chocolate shavings to shape the ying-yang sign. 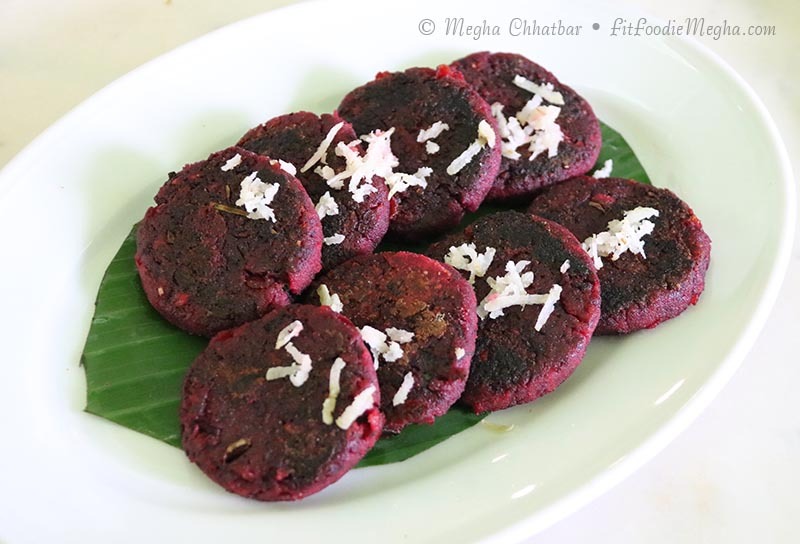 Amla Beetroot Tikki at Tvum: One of the best dishes at Tvum. All the food on menu is healthy and inspired by Ayurveda. This tikki had the power punch of Indian gooseberry and Beetroot. Loved it. 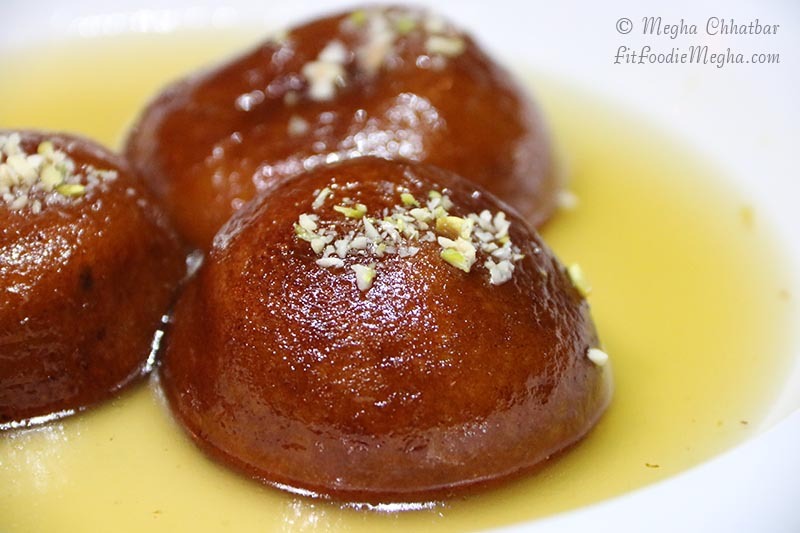 Gulkand Gulabjamuns at Tvum: Not to be missed are these superbly juicy, balanced sweet Gulabjamuns. A must have! Paneer Shashlik at Mad House Grill was one of my favourite dishes for that lunch. It hit the right notes of flavors and taste. The 'real' spicy after taste of tomato-based shashlik sauce was the key taste enhancer. 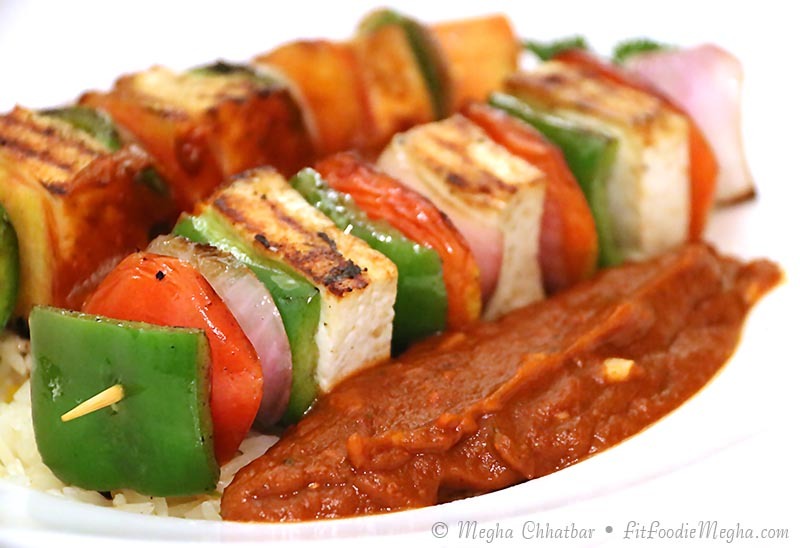 Skewered veggies grills on the bed of herb rice with loads of flavourful shashlik sauce are one highly recommended dish. 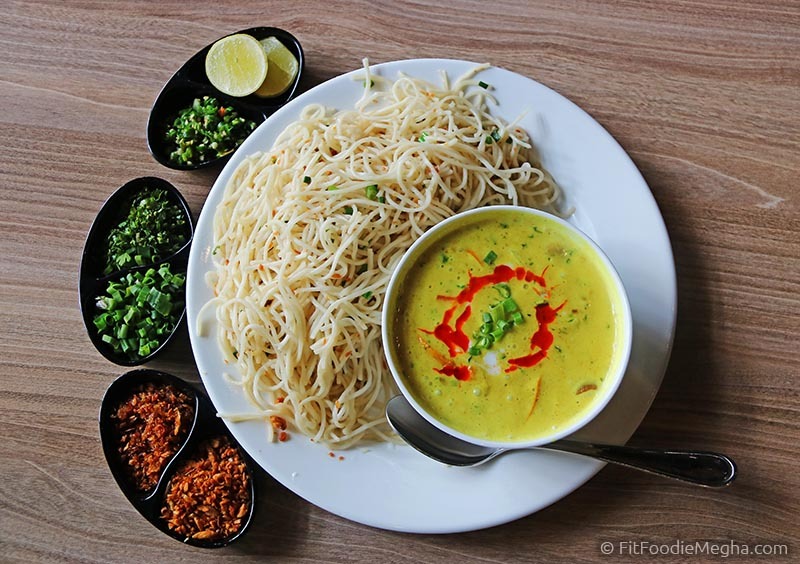 Veg Khow Suey at Effingut Brewerkz, Kharadi: One of the best Khow Sueys in Pune! Trust me. 3 CheeseWafer Thin Pizza at Indigo Deli. OMG! It was seriously wafer thin. 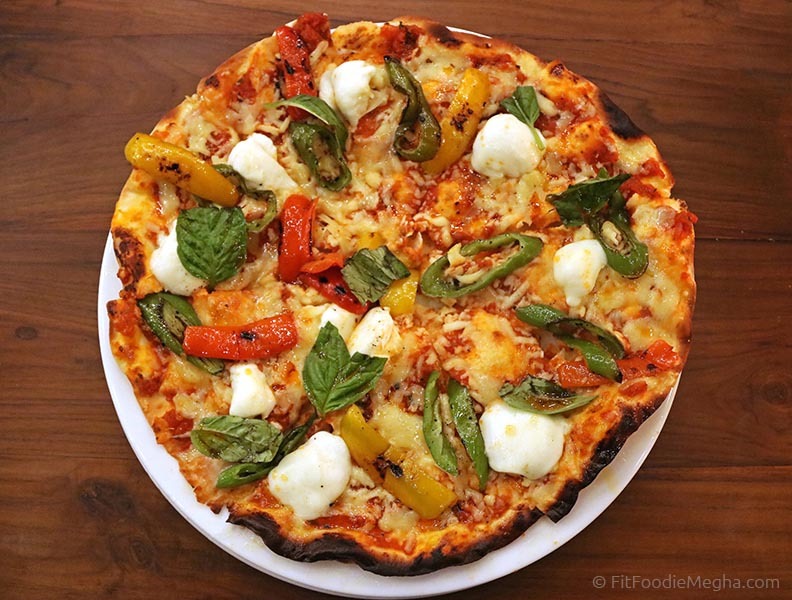 3 Smoked Peppers and 3 cheese pizza with the hotness of red, yellow and bhavnagri peppers, Scamorza and fresh Mozzarella. What could go wrong with it? Liquid Paan at 1BHK Super Bar: We started our evening with some of the mocktails and one of the most delicious was the Liquid Paan. 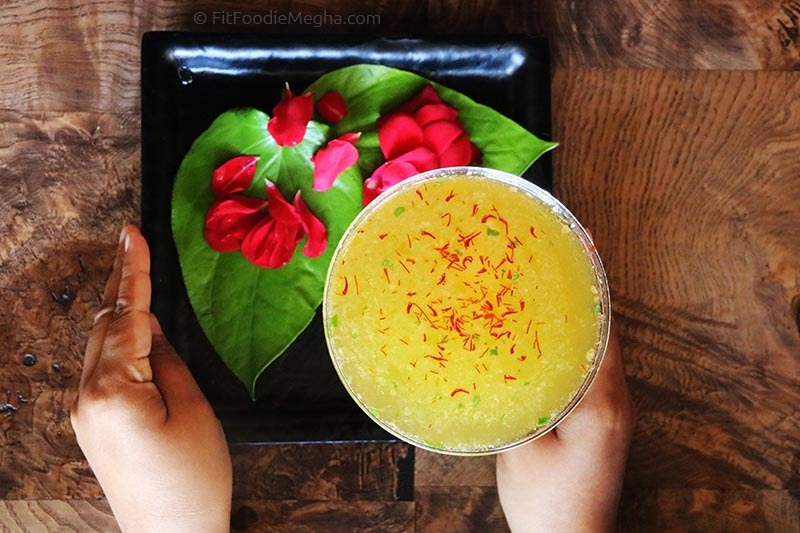 The vibrant green colored drink had the intense flavour of gulkand and kesar. Served in the martini glass on the bed of rose petals, this drink is not to be missed. Looks delicious, feels mouthwatering, seems mesmerising.. I am rushing to pune very sooooon! Will definitely try. Looks tasty. 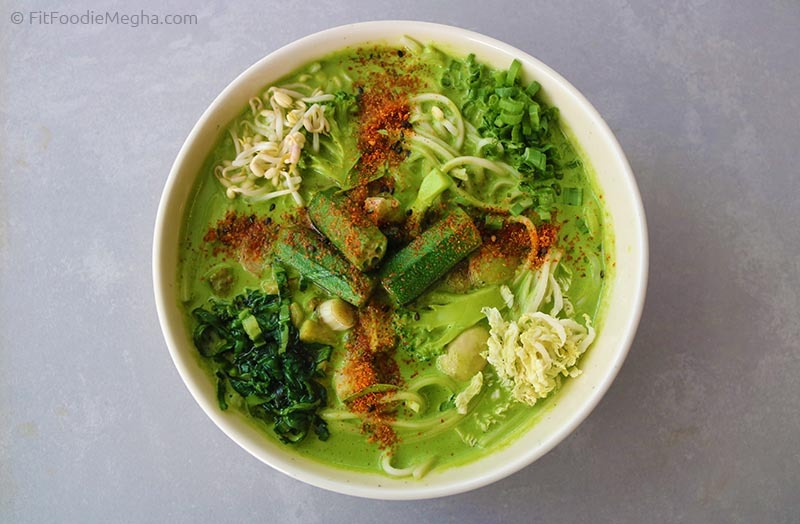 The Real Green Cafe – New Additions! — Reviewed! Hoppipola – Eat, Drink, Play! — Reviewed! Rude Lounge – Some hits some misses! — Reviewed!